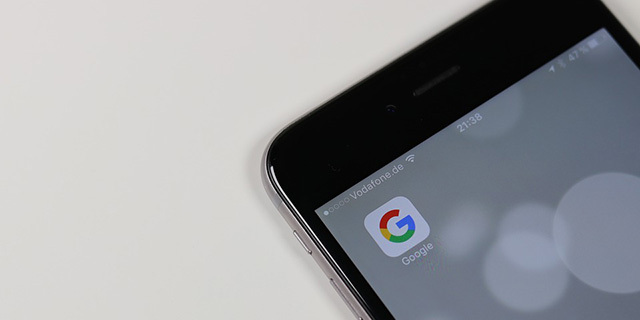 It has been just shy a year since Google first announced their mobile first index initiative, where they would crawl the web from a mobile perspective first. Well, it seems Google has started, at least on a really limited basis, to start indexing some sites from a mobile first view. John Mueller from Google, after a bit of arm twisting, somewhat confirmed it yesterday in a webmaster hangout. "It's possible that for individual sites we were kind of already indexing the mobile version but it's probably like a really small number," John said. John Mueller added " I wouldn't see that as saying like we've started with this but it's more kind of still in the experimental stage," which is his way of saying - no, we didn't not officially officially start the mobile first indexing. But it is out in the wild and over the past week or so many tools and webmasters have taken notice to major mobile ranking shifts in Google. We know Google plans on rolling this out slowly, in batches of sites, as to make sure the search results don't shuffle too much. The conversation between myself and John started at the 51:56 mark into the video. But at the 53:52 mark I kind of dig more to get him to explain what he was saying and then by 54:30 he talks about there was not an "official batch" but some limited number of sites may have been switched over already. Barry: Could talk about the mobile stuff going on? A lot of these tracking tools that you do or do not like have been showing me showing a lot of changes on specifically on the mobile side. I assume some of them are picking up on the mobile first index tests. Is that really close to launching you think? I don't know if they're picking up on the mobile indexing testing stuff there because that's probably fairly small amount of testing that's happening there. And I don't know specifically what these tools are kind of looking at at the moment. So I wouldn't be surprised if there are other algorithms that we have which are specific to the mobile side. I think that's definitely a big focus area for us because a lot of people are using mobile devices to search so having algorithms that show different results on mobile I think would be kind of expected. So from that point of view I don't think that just because you see these in the mobile search results assuming these trackers are looking at normal search results which I think they have a lot of experience doing so probably they are then I assume these are just normal changes that we have in the search results normally. With regards to the mobile first indexing stuff. That is something where we're still experimenting with and the goal is kind of to recognize when sites are ready and to switch them over step by step as we see that. So that's probably not something that would just like go from one day to the next but rather be more kind of a gradual thing. Barry:: But that hasn't started yet? That first batch of site? John: Not anything official that we're announcing yet. So definitely the team is looking into the classifiers and double-checking to make sure that they're picking things up properly. And I believe Gary is working on a blog post so once we have all of that lined up we'll definitely let you all know. Barry:Okay you didn't say that you didn't start it. You kind of may have said you did start it looking at classifiers okay. John: Well I mean we test with a lot of things, so that’s, I see that as something where we definitely try things out over time and we make these experiments all the time. So it's not something where I'd say it's like well like someone flipped a big switch and everything is rolling over to mobile first indexing now. I don't think that is. Right no you said that before. You will roll it out in batches as sites are ready. I asked you have any sites that we've rolled out in that first or sub batch, like first set of batches yet. Is the answer is yes or no or you can't comment? I don't know. So it's it's something where we're definitely trying things out but it's not that we have kind of an official batch that we've sent out and switched over. So it's possible that for individual sites we were kind of already indexing the mobile version but it's probably like a really small number. So I wouldn't see that as saying like we've started with this but it's more kind of still in the experimental stage. So it seems Google has indeed started to move some sites/pages over to the mobile first indexing process but is not ready to say it is official until Gary Illyes finishes his blog post and they make it more official.